Estimating the probabilities that various amounts of sea level rise will occur for a given greenhouse gas scenario. innovation, geopolitics, population growth, etc. As a result, there is no reliable way to estimate the probability of following a particular emissions trajectory. Instead, we have developed a separate set of probabilistic projections for both a low and a high greenhouse gas scenario. We present our projections in terms of the probability of exceedance, or the likelihood that sea level rise will meet or exceed a particular elevation relative to contemporary sea level. 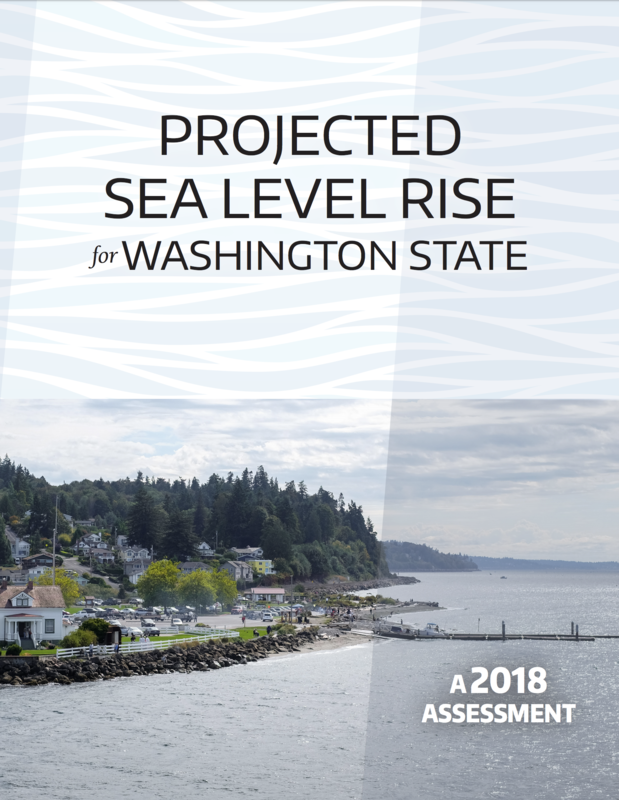 Recent research has emphasized the potential for large amounts of sea level rise, and today’s high-end projections are much higher than those of previous studies. In order to minimize the chance that our high-end projections are similarly revised upward in the future, we have also included a very high magnitude projection, which multiple studies indicate is a likely upper bound for future sea level rise by 2100. Miller, I.M., Morgan, H., Mauger, G., Newton, T., Weldon, R., Schmidt, D., Welch, M., Grossman, E.